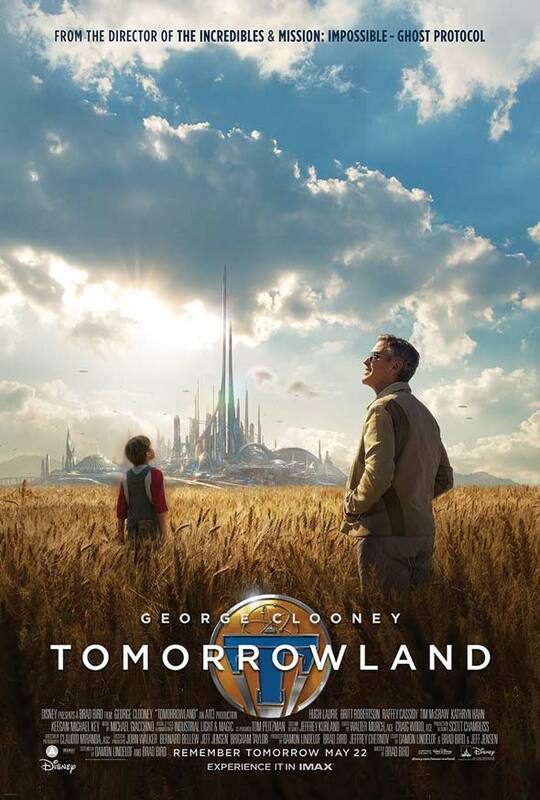 Walt Disney Pictures has released a new poster for the upcoming George Clooney-led sci-fi tale “Tomorrowland”. The one-sheet comes ahead of the new second trailer for the film which will debut online on Monday, March 9th at 10:30am US-PST. Following that there will also be a live Q&A with director Brad Bird and producer Damon Lindelof on the film’s Facebook page. The story follows former boy-genius Frank (Clooney), jaded by disillusionment, and Casey (Britt Robertson), a bright, optimistic teen bursting with scientific curiosity, who embark on a danger-filled mission to unearth the secrets of an enigmatic place somewhere in time and space known only as “Tomorrowland.” The film is slated to hit cinemas on May 22nd.